It's very likely that as a child, you were warned about claw machines. The densely packed prizes and weak claw make it difficult—but not impossible—to ever get anything, despite feeding the machine all your quarters. SEGA Japan has their own collection of crane games, called UFO Catchers, that are often found on the first floor of arcades. For the past two years, SEGA has been giving out bags for the prizes with a special code that no one noticed until recently. Kotaku reports that Japanese Twitter user Sendou realized that the designs on the blue and white bags looked a lot like Morse code. With a little decoding, the secret code was cracked: "UFO Catcher is not a vending machine.” The message appears to be a note to people who might get frustrated with the machine after not getting a prize. The line has been on the bags since 2014, as a cheeky way to remind players that the UFO Catcher is a game of chance and each prize is evidence that the winner conquered the claw. 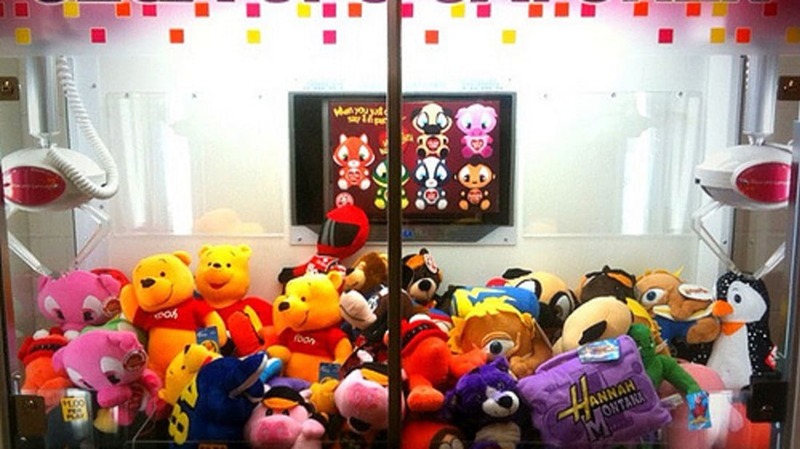 If you find claw games to be challenging, don't worry: We have some tips for you.